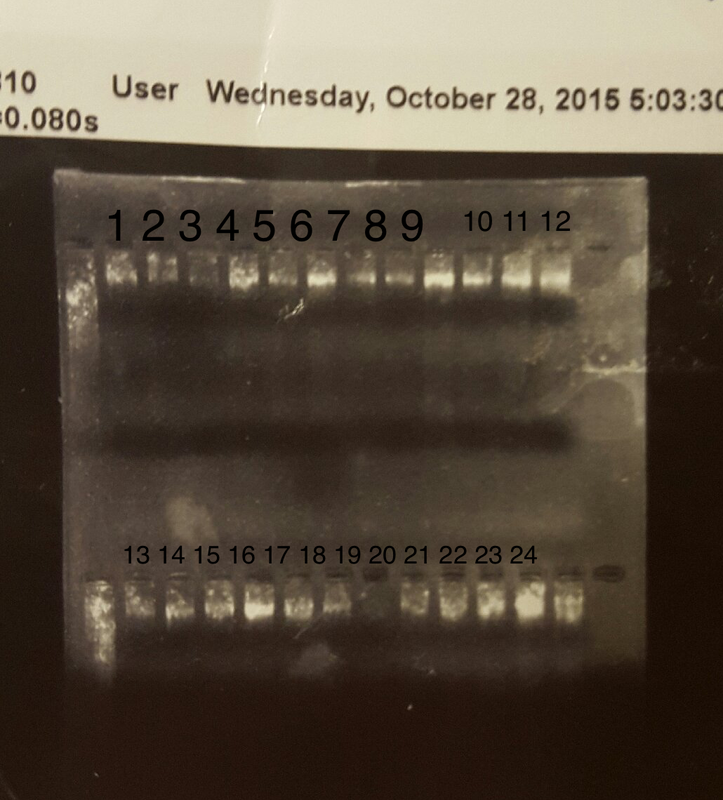 Ran out gels for DNA extractions that had been done on 10/21/15 and 10/23/15. 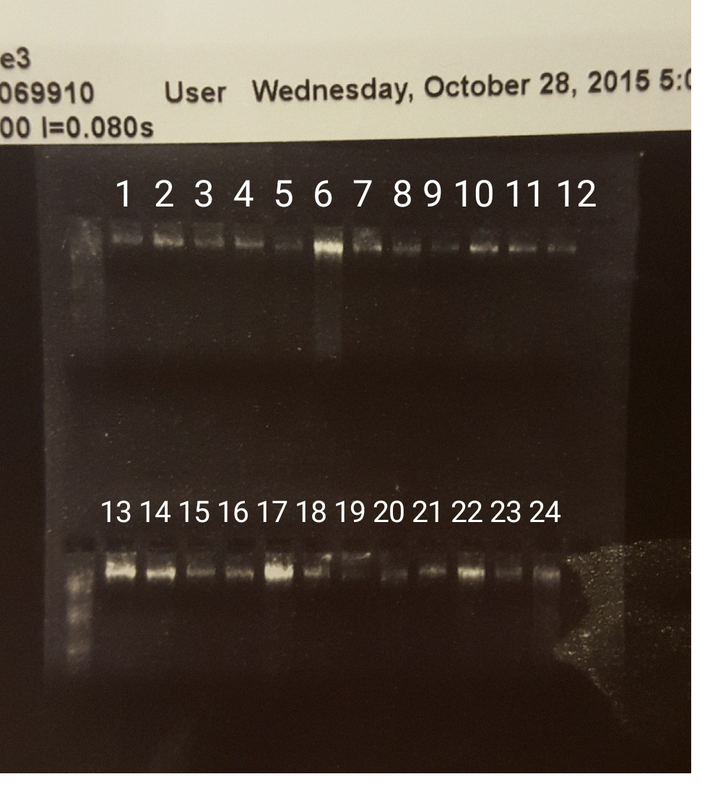 Gel of DNA extraction done on 10/21/15. Did another set of 24 extractions using the EZNA Mollusc kit. This entry was posted in Lab Notebook, Puget Sound Oly Common Garden and tagged dna extraction, gel by ksil91. Bookmark the permalink.